Taos represents the many stages in the human development of the Americas. First populated by Native American, approximately 3,000 BC farming techniques were adopted. By the 1840's Taos was the Wild, Wild West of America. Today visitor have an excellent opportunity to soak up the culture of the region or the sun on nearly 1,300 acres of excellent ski terrain. Taos located in the southern tip of the Rockies in the Sangre de Cristo mountains first opened in 1956 with a J-bar. In 2008 Taos and probably against the wishes of the original owner, Ernie Blake, allowed snowboarding. In the 2014/15 ski season Taos expanded the resort by adding Wild West. The ski resort is open Thursday-Sunday until mid December and through the rest of the ski season it is open seven days a week from 9 am to 4 pm. Taos has a reputation as advanced skier's mountain. BUT really only 51% of the ski terrain is considered advance and expert. The other 49% is almost equally divided between beginner and intermediate levels of skiing. 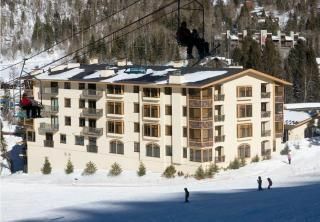 Most of the beginner and intermediate terrain is located at the lower elevations and to the far right of the ski area. At the top of the resort you will find all the advanced and expert terrain along the Highline Ridge and West Basin Ridge. This is mostly chute type skiing. Taos has one terrain park off of chair 7 and receives an average of 305 inches of snow each year. Improving your abilities automatically happens with 3-5 consecutive days of skiing. But a sure fire way of really improving your abilities is to take advantage of the Taos Snowsports Week of lessons. Starting at $130 ($120 in early season) you can receive three-two hour lessons each day! The Town of Taos is located 135 miles (2.5 hours) northwest of Albuquerque, The drive is normally a quick shot up highway 25, connecting to 84/68. Shuttle service is limited, and a rental car is the preferred transfer type. It is an easy drive. From the Town of Taos to Taos Ski Valley is another 19 miles or 40 minutes, fairly flat until you enter the mountains. The Town of Taos centers around the Plaza and is rich in history. As mentioned earlier Taos was the Wild, Wild West. Kit Carson's home and Western Museum is just a few blocks from the Plaza. Other points of interest might include but certainly not limited to Mision San Francisco de Asis founded in 1776, Mabel Dodge Luhan House, a 19th century artisan 'camp', (a hippie mecca in the 60's and 70's), caves, and the Taos Peublo, Lodging can be found throughout the town although staying on the north side of the Plaza makes the commute to the ski resort easier. There are dining and nightlife options, but the museums and art galleries are the best known features of the town. 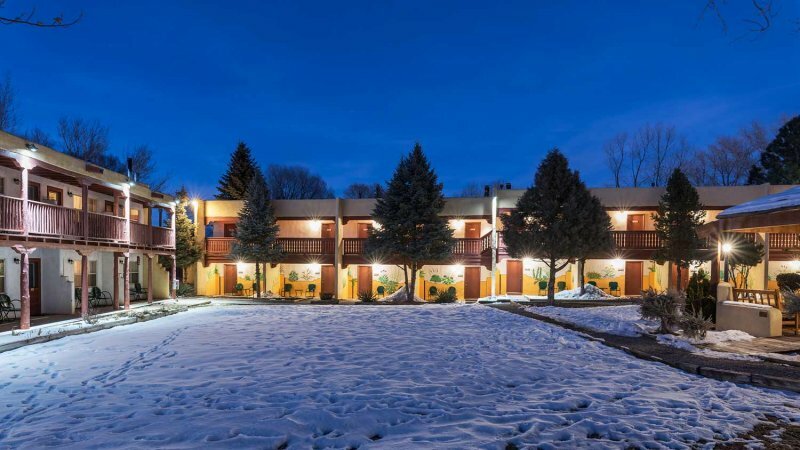 The Town of Taos is more hotel/motel oriented than other 'condo-centric' resorts. Lodging in the Town of Taos is very reasonable featuring every type of accommodations from a Super 8 to B&B's. 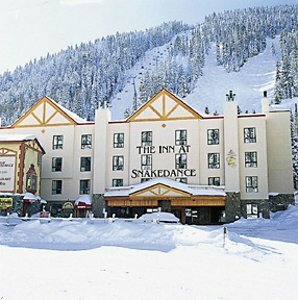 For those who want the convenience of ski in, ski out and the feel of a true ski village, Taos Ski Valley is the place to go.